The most common product in the family of Geosynthetics is Geo Textile Non Woven . 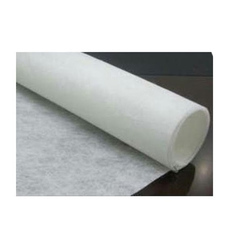 This product is a random assembly of synthetic fibers, put together, which are mechanically & thermally bonded to make into a single layer, commonly made of non woven polypropylene geotextiles and polyester types. Geo-textile fabrics are manufactured that based on typical application required. 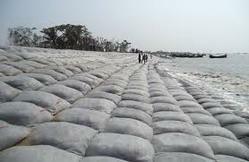 The most common product in the family of Geosynthetics is Geotextile Nonwoven for Wetland. This product is a random assembly of synthetic fibers, put together, which are mechanically & thermally bonded to make into a single layer, commonly made of non woven polypropylene geotextiles and polyester types. Geo-textile fabrics are manufactured that based on typical application required. The most common product in the family of Geosynthetics is Nonwoven Needlepunch Geotextiles . This product is a random assembly of synthetic fibers, put together, which are mechanically & thermally bonded to make into a single layer, commonly made of non woven polypropylene geotextiles and polyester types. Geo-textile fabrics are manufactured that based on typical application required. 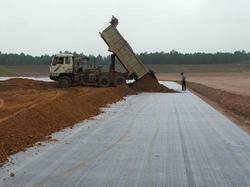 The most common product in the family of Geosynthetics is GeoTextile Paving Fabric . This product is a random assembly of synthetic fibers, put together, which are mechanically & thermally bonded to make into a single layer, commonly made of non woven polypropylene geotextiles and polyester types. Geo-textile fabrics are manufactured that based on typical application required. 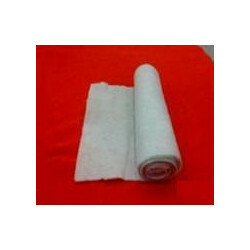 The most common product in the family of Geosynthetics is Non Woven Geotextile Fabrics. This product is a random assembly of synthetic fibers, put together, which are mechanically & thermally bonded to make into a single layer, commonly made of non woven polypropylene geotextiles and polyester types. Geo-textile fabrics are manufactured that based on typical application required. We have a manufacturing capacity of 5mtr width of 120 tonne/ month of GSM ranging from 70 to 600. 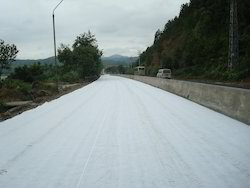 The most common product in the family of Geosynthetics is Needlepunch Felts. This product is a random assembly of synthetic fibers, put together, which are mechanically & thermally bonded to make into a single layer, commonly made of non woven polypropylene geotextiles and polyester types. Geo-textile fabrics are manufactured that based on typical application required. Geotechnical cloth is widely used in seepage prevention, drain, inverted filter, solution and other items in highway, railway, water conservancy and other projects. 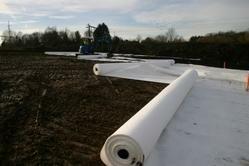 If you would like more information about Geotextile, please contact us or visit our website for more details. We , Dynamic Wooltex, would like to introduce ourselves as the giants in the non woven manufacturing industrial entity for past two decades. 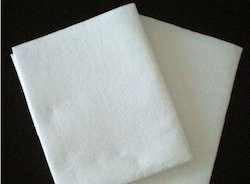 We can manufacture needle punch non woven fabrics up to width of 5 mtr with gsm ranging from 70 to 1000 as per customer specification. 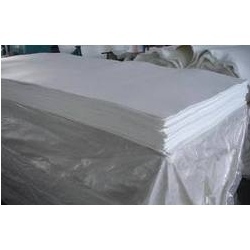 We have a total manufacturing capacity of 200 tonns/month of needle punch non woven fabrics. 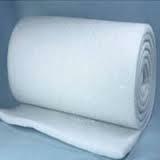 Description: These non woven geotextiles are manufactured from high quality polypropylene staple fibres. The fibres are mechanically bonded through needle-punching to form a strong, flexible and dimension ally stable fabric structure, with optimum pore sizes and high permeability. 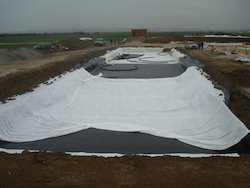 The geotextile is resistant to chemicals and biological organisms normally found in solls and is stabillzed against degradation due to short-term exposure to ultraviolet radiation. 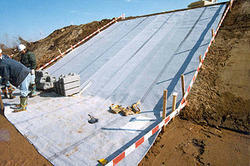 The most common product in the family of Geosynthetics is Geotextile Slope Protection Fabric. This product is a random assembly of synthetic fibers, put together, which are mechanically & thermally bonded to make into a single layer, commonly made of non woven polypropylene geotextiles and polyester types. Geo-textile fabrics are manufactured that based on typical application required. 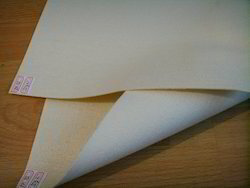 Thermal Bonded Wadding (roll-o-matic fabrics) from 100 gsm up to 1000 gsm Finish Types to individual customer specification (soft/stiff). Applications are thet it is mainly used for clothing and upholstery such as jackets, quilts, sleeping bags, furnishings etc. 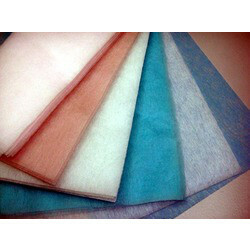 We have in store a wide variety of Needle Punch Fabric that is mainly made using viscose and polyester. Well-equipped with premium quality weaving machines and other techniques, we are able to bring forth a standardized array of products. Known for their soft texture and innovative designs, this fabric is widely appreciated and availed by a number of clients.